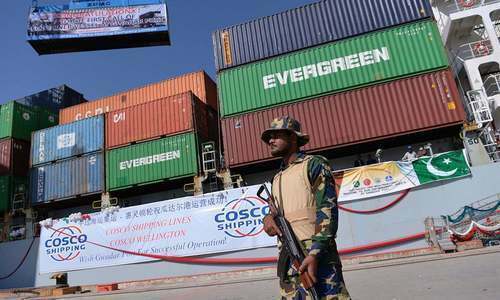 LAHORE: The federal government has deferred second phase of the Free Trade Agreement (FTA) with China on the demand of the business community. Pakistan and China began the 10th round of negotiations on renewal of an FTA in Islamabad on April 2. This was supposed to be the final round following which both sides were to sign the agreement. The Pakistani team was keen to finalise the agreement in this round so a formal announcement could be made during the prime minister’s forthcoming trip to China later this month. The secretary commerce has recently held a round of talks with industry leaders to hear their concerns about the FTA. Since the first FTA came into force in November 2006, Pakistan trade balance with China has worsened considerably even as total bilateral trade between both countries grew exponentially, crossing $14 billion recently. Exports to China grew from $0.4bn to $1.7bn till 2016, but imports from China grew even faster, going from $1.8bn to beyond $14bn, only slightly less than half of Pakistan’s total $32bn trade deficit. The minister said consensus among the business community remains elusive. “So we are trying to develop consensus on this issue. We have also asked the Chinese side to take care of the interests of our business community in this regard,” he said, adding the matter is of a “sensitive nature”. “But we will do it surely within next two months after removing reservations expressed by our traders,” he added. A delegation of the Lahore Chamber of Commerce and Industry (LCCI) travelled to Islamabad to meet with the minister on Wednesday, the last day of the talks. 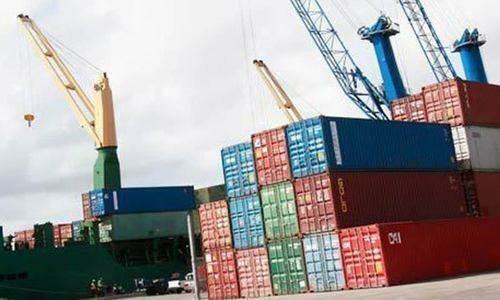 “During a meeting the federal minister told the LCCI delegation about deferring the FTA’s second phase with China,” the chamber said in a press release. News of the failure of the negotiating sides to sign an agreement had already broken by then. The minister told the delegation, headed by the LCCI President Malik Tahir Javaid, that regulatory duty on steel would also be abolished. He said new and unconventional avenues were being explored to promote Pakistani products in export markets. The minister urged the private sector to become proactive to meet international standards and better marketing of products to compete effectively. Having a Free Trade Agreement with China is suicidal. Already Pak China FTA-1 in practice and 5% less duty is charged on all China Origin goods. After signing FTA-2 almost everything will be covered. The domestic industry has genuine concerns, and must be addressed before going ahead. Same objections were raised by local industry when more Indian products were on agenda to be allowed, and idea was dropped. Unfortunately our ministries do not consider the expensive power & gas rates, besides high rate of Sales Tax push the cost of production higher, even higher then the quoted prices by Chinese supplier or Indian exporters, we must work to lower our production costs, and stop asking incentives and protection tariffs. The government must think of 22 crores people, and not allow tariff protection to 22 manufacturers, after government gets customs duty,sales tax, and income tax at source on imports. We may sign a FTA with India too to lower our import costs. India already treat us as MFN status. The Chinese will dump goods below cost to destroy your domestic industries. Then they will completely dominate your economy.